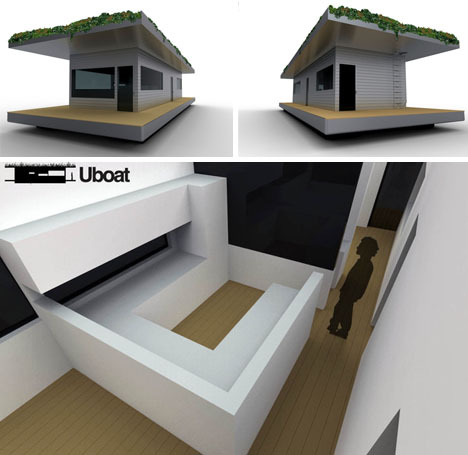 Floating homes tend to fall on the fancier side of design – premium placements require sufficient funds to keep out affordable housing. 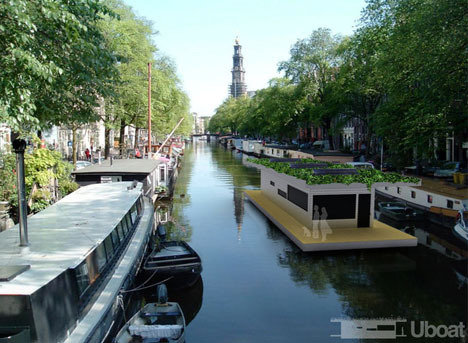 This idea tackles waterway residences from another starting point: small, smart and sustainable. A straightforward, slat-sided box forms the core of the? ?Uboat by? 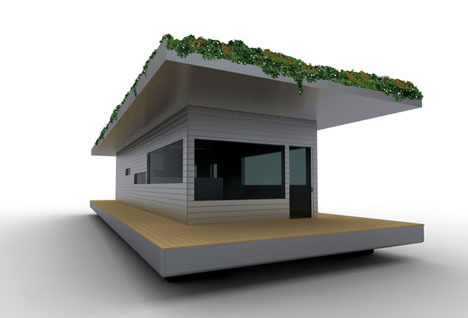 ?Wyatt Little – a deck on all four sides extends out to form both entry and porch space, with a matched roofline above providing shelter and area for an extensive green roof and solar panels. 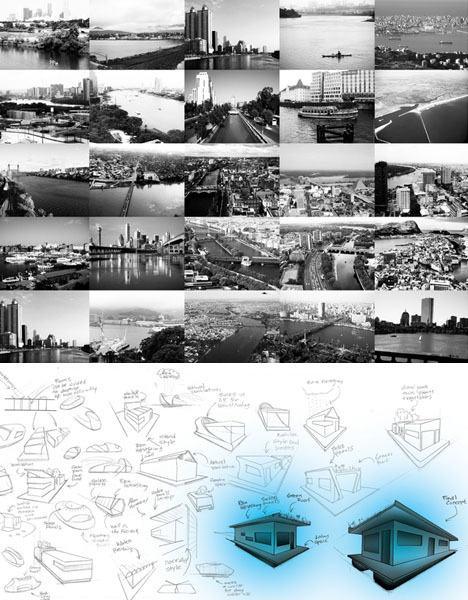 The sketch process reveals thoughts that went into an ultimately-elemental form, as do the black-and-white photos of urban contexts. 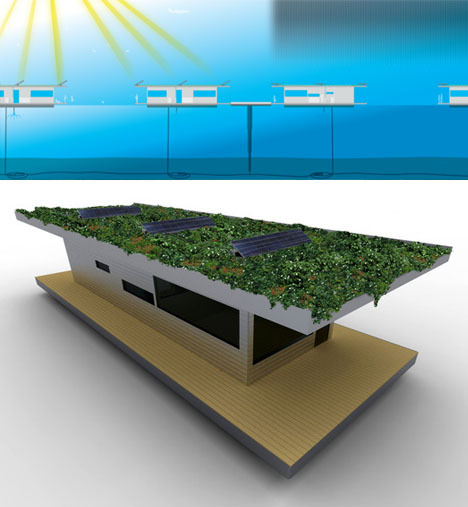 A geothermal loop dropped down into the water below regulates the interior temperature, drawing up warm or cool as needed into an in-floor heating and cooling system. Gray water can likewise be lifted from the amble supply on all sides, while drinking water is collected via rain into semi-concealed tanks. Some might find the rectilinear form fairly banal, but others will see it as a welcome relief from unrealistically-curved and otherwise-impractical concept designs – likely less about a mass-producible future than about an individual fantasy.